The European Parliament estimates 500,000 girls and women living in Europe are suffering with the lifelong consequences of female genital mutilation. The EU has the power to act. The End FGM European Network works to ensure that the EU acts now to end this practice and protect women and girls. The End FGM European Network offers a space to women and girls affected by FGM to engage directly with European decision makers. Their experiences and the expertise of member organisations define and guide the Network’s calls for European political action to end FGM. The development of a European transnational network of organisations feeds into and complements the development of the platform working against FGM worldwide. Already, the platform created by the Network has facilitated cross-border cooperation and engagement in the international mobilisation on FGM. In addition, the Network provides a space for knowledge and skills sharing amongst actors involved in activities towards ending FGM, which can benefit the global movement to end FGM. Find out how we aim to bring about sustainable change and promote ending FGM. Make a donation Click here to find out how. Get the newsletter Get all the lastest updates. End FGM EU & GIZ will share a panel session at this years European Development Days on 'Building Bridges between regions and people to end FGM'. 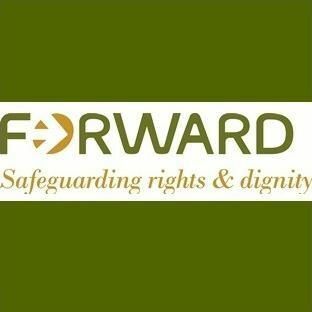 ​The European Forum to Build Bridges on FGM2 was held on 28 November in Brussels by the End FGM European Network (End FGM EU) in cooperation with the European Commission, and with the support of the Human Dignity Foundation and the Wallace Global Fund. This site has been produced with the financial support of the European Union's Rights, Equality and Citizenship Programme. The contents of this publication are the sole responsibility of the End FGM European Network and can in no way be taken to reflect the views of the European Commission. This project is funded with support from the Wallace Global Fund (WGF). The ideas, opinions and comments therein are entirely the responsibility of its authors and do not necessarily represent or reflect the WGF policies. This project is funded with support from The Sigrid Rausing Trust. The ideas, opinions and comments therein are entirely the responsibility of its authors and do not necessarily represent or reflect The Sigrid Rausing Trust policies.